Contact us with any questions or concerns using the form on the right and we will get back to you shortly. Thank you! SmartFlyer is the travel company for the new generation of discerning travelers. We're an award-winning, full-service, luxury travel agency headquartered in NYC. WHO: Me, along with fellow SmartFlyers Amy Zebala and Rob Merlin. TYPE: Luxury all-suite resort hotel. ROOMS: All suites, ranging from 700 square feet all the way up to 5000 square feet. Each suite has an ocean view, balcony, and spacious marble bathroom, with a separate bathtub. POOL/GYM: Eleven pools and three beaches, plus 25m outdoor lap pool and state-of-the-art gym with Pilates and yoga classes. Tennis facilities and a 141-acre waterpark round out The Cove's impressive activity offering. RESTAURANT: Over nineteen to choose from, including the internationally-renowned Bobby Flay outpost, Mesa Grill, as well as Todd English's Olives, The Bahamian Club, and Café Martinique, which offers wonderful views from the balcony, Mosaic at the Cove offers a full breakfast buffet while poolside cabanas serve up kid-friendly snacks and adult-friendly cocktails. BAR: Dozens to choose from, everything from understated modern lounges to wood-paneled, cigar-friendly hangouts. For those interested in the party scene, Aura is a Vegas-style nightclub located onsite. SPA: The onsite Mandara Spa Atlantis combines ancient Balinese healing touches, traditional European therapies and natural elements indigenous to The Bahamas. The facilities include warm and cold plunge pools as well as steam and sauna rooms in both the women and men's private lounge areas. Couples can enjoy the Couple’s Spa Suite and the women's area includes a relaxing aromatherapy room while the men can indulge in exclusive barber services. WIFI: Complimentary internet available throughout. KIDS: Of course! Particularly good for kids four feet and taller (will be able to partake in the water slides). The kid's club and teen nightclub Crush are interactive and popular. 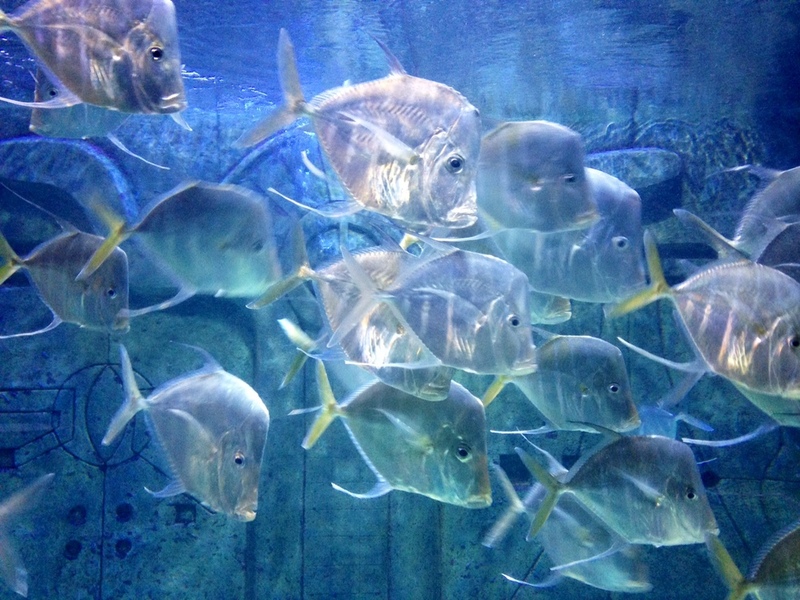 Kid's splash zone, walk-in pools, dolphin and sea lion encounters, snorkeling with stingrays, water obstacle course, and the very large indoor/outdoor aquarium offer variety and fun for all ages. 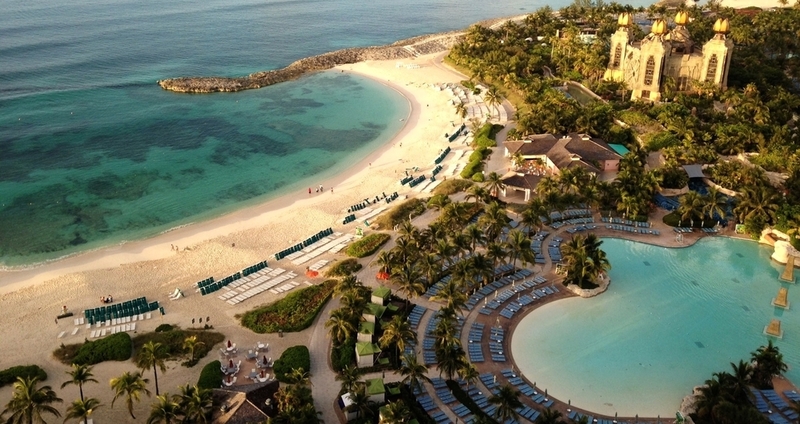 LOCATION: Nassau's Cove and Paradise beaches, with the spectacular amenities of Atlantis nearby. A thirty minute drive from Nassau International Airport (NAS). If you like getaways with a wide variety of interactive things to do, all while staying in comfortable luxurious surroundings with amazing cuisine and entertainment choices, The Cove at Atlantis should be your top choice. We snorkeled with the rays and sharks, mastered the water obstacle course, conquered the waterslides and tubed down the not-so-lazy river complete with rapids and waves in between relaxing on the beautiful private beach. Evenings were spent playing a little blackjack in the casino, some Bahama Mamas poolside, and delicious evening meals prepared by award-winning chefs. I was blown away by The Cove, and that's coming from someone who typically doesn't stay at resorts. My expectations were exceeded in every way, and I can't wait to go back. ©2010-2016 The Smart Flyer Inc. All rights reserved.